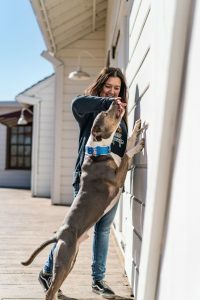 Engagement in Dog Training: What is it and why you need it! 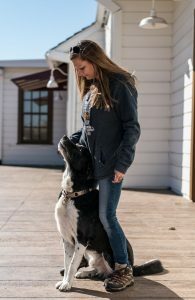 It’s so easy for trainers and dog owners alike to get focused on teaching their dogs household rules and obedience and skip the fundamentals that create lasting, training results. One of the very first things a top dog trainer knows we must teach a dog is simply to pay attention to us humans! This is the process of engagement training. 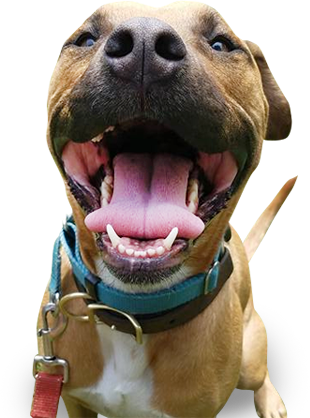 A dog who is ENGAGED knows that payments (praise, treats, toys, and fun) come from their handler and is motivated to work with their human. Before we can ask a dog to follow commands, have good manners, or be safe off leash, we must show them that listening to us is in their best interest. 1. Hand feeding: teaching your dog to focus on you by feeding from the hand may sound basic but it works! Especially if you have a dog who comes to get their reward and then immediately checks out. Extend the amount of time they pay attention to you by giving rapid fire rewards and hand feeding. 2. Teach tricks: you may not use tricks in day to day life but tricks give you the opportunity to teach your dog about learning, how your payment system and communication works, and keeps your dog focused on you! 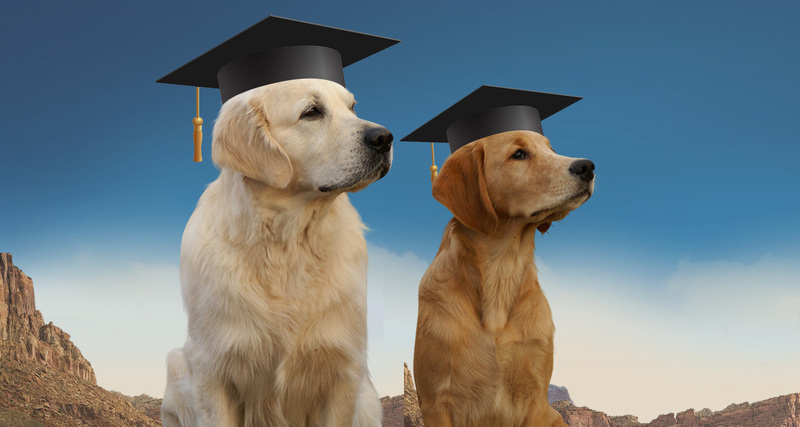 Once your dog understands those concepts, other training (like obedience) is a breeze. 3. Eye contact: teach your dog a look or focus command and pay them when they do it! A dog that is watching you is 100% engaged and ready so that when you do start to ask them for more complicated behaviors, they are committed. 4. Hide and go seek: engagement should be fun! Build your dog’s drive to stay engaged with you by making a game out of it. Sneak off with some tasty treats and call your dog to find you. The more your dog is aware of where you are and wants to seek you out, the more they have learned paying attention to you is beneficial. 5. Tethering: if you have a pup or a dog who is new to you, sometimes tethering a dog to you (attaching them via leash to you) can be a simple way to encourage them to focus on you instead of everything else that’s going on around them. A dog who has practiced engagement is easier to train, has a stronger bond, can better handle distractions, and enjoys the training experience. So get out there and get your dog engaged!! Previous Previous post: Can Praise Hurt Your Dog?? Next Next post: Active Ignoring…what is it and how to get started?